This unit is set apart from the main house yet captures its vintage charm. It features a King sized bed, desk, comfy chair and a nice corner closet. 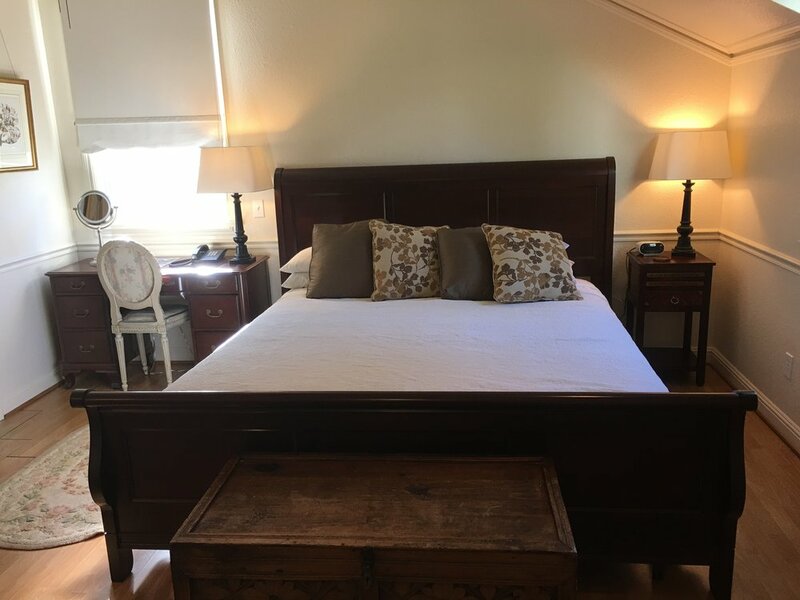 This room is also our only handicap accessible unit, with the bathroom designed to accommodate all needs, including a wheel in shower and still maintain its charm with tile floors and porcelain sink. Double Occupancy rate: $169.00.